Leave it up to 50 Cent to lighten the mood in a tense situation. Over the weekend Twitter erupted after Power star Omari Hardwick aka Ghost kissed Beyonce twice. The awkward moment at the NAACP Awards went viral on social media, and now 50 Cent is chiming in on it for some extra press for his hit TV show. 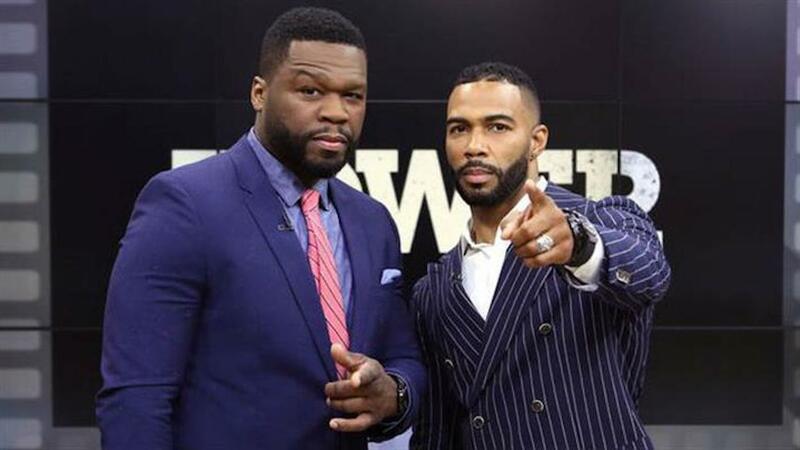 Fifty posted the video clip on his Instagram while joking that JAY-Z will kill off Omari Hardwick’s character in the new season of Power. The rap legend is one of the persons at the helm of the show, so you never know, this might started off as a joke and could work its way right into the script. But they can’t kill Ghost unless the show is over for good. “Season 6 of POWER Jay Z kills Ghost don’t miss it we lit. LOL jay was like the f*** is you doing pretty ni**a,” 50 Cent wrote. It would be epic if JAY-Z makes a cameo in Power season 6 and even attempted to kill Ghost. Last season we saw Kendrick Lamar making a cameo in the crime drama TV series, and he pulled off a pretty impressive job portraying a crack head who is also ruthless. Could JAY-Z be the next big name in hip-hop to appear in the show? Highly unlikely since the Roc Nation rap mogul and his wife Beyonce are both legendary to stay low-key unless they appear at award shows or on tour etc. Some folks are saying that awkward moments like what took place at the NAACP Awards last weekend are among the reasons why The Carters keep to themselves.